When it comes to coffee choices, the most expensive coffee is not always the best. I Picked my top 5 coffee brands and stick with them. The best coffee blends are common ones. Many people are not able to function without their morning cup of coffee, fortunately we have so many coffee choices to pick from. Over the years I have tried many types of coffee, the most expensive coffee was not the best and did not even fall in the top 5 coffee brands. To me some of the best coffee blends were some of the least expensive and common ones, I would add a flavored creamer to one and have the best cup of coffee. I am one of those people that need a cup of morning coffee to get started, I am not very particular with the flavor of this cup because it goes down fast to get my motor started. I am sure many of you can relate to this, as long as it is not awful it will work. I drink more coffee then I should and I feel this makes me sort of a coffee expert. 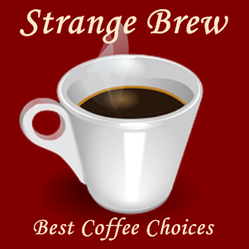 This has put me in the unique position to share my opinion on the best coffee choices. My next two cups have to be something tasteful, I enjoy a good cup of coffee. I have learned through experience that the most expensive coffee is rarely the best tasting. The earliest reports of coffee were from the 10th century in Ethiopia by monks, the first proven consumption was from the 15th century in Yemen. Since then we have found many different ways to make and drink coffee, even taking out the caffeine that made it so popular. It has become so wide spread that it is consumed in every country now, I believe this can be attributed to the fact that it has some addictive qualities as well. I know when I miss having a cup I get severe headaches and a cup of coffee usually makes them go away. Many people consume coffee daily and are unaware they have a coffee addiction until they try to stop or run out, then the headaches and the symptoms start and they realize how powerful this little bean can be. The caffeine in coffee is a stimulant of the central nervous system, usually most stimulants have addictive qualities and caffeine does not disappoint. Fortunately this addiction can be easier to kick then most others with just mild to medium discomfort. Today we have so many coffee choices and ways to make it that everyone that enjoys the taste of coffee can find a way they like to drink it, I prefer a plain coffee with a flavored creamer and very little sugar. Everyone has different tastes and the variety of available coffee helps to satisfy most people that have the taste for coffee. When it comes to coffee choices you can try new ones until you find something you like, many people go for the fancier brands. If you are like me, a good tasting and reasonably priced coffee makes me happy. The best coffee blends can even be store brands depending on your taste. You can even buy the beans and grind them yourself, this gives a fresher tasting coffee but is extra work. I like drinking the coffee and look for the easiest way to make it. When going for the best cup of coffee you can get into some high priced designer coffees, if you like your coffee that much and have the money to afford it I hope you find something you like. A few times over the years I tried the most expensive coffee I could find only to be disappointed by the taste, maybe it just did not sit well with me that coffee cost that much. I never found one that I liked and regretted spending that much money on trying it. The top 5 coffee brands I like the most are actually reasonably priced average brands that most people consume regularly, most people have the same idea that I do. I enjoy the taste and use the caffeine to get me going. Folgers Classic Roast Ground Coffee Canisters 33.9 oz. Aside from my morning coffee and the other two cups I have to get me through the day, I will get together with friends or meet a girl for a cup of coffee. It can be a good social get together excuse as well. Many people like myself get together over a cup of coffee and talk about business or personal issues that they may need help with. It can be a good way to relax and unwind from the day. Drinking coffee can get expensive even when buying the affordable brands, I try to save money everywhere I can and my coffee is no exception. I always buy my coffee on sale or in bulk online with free delivery, I can save one to three dollars on every container this way. This can add up to pretty good savings at the end of the year. I will buy to go cups with lids, this way I can make my morning coffee at home and not have to stop and buy one. This saves me a lot of money in just a months time. Caffeine, the active ingredient in coffee has found another use in diet pills and sports drinks. It helps to promote fat loss and improves performance slightly. Caffeine tells our body to release stored fat, this makes it ready for consumption to fuel the body. It also raises the hormone Epinephrine, also known as adrenaline which also tells the body to release and consume the stored fat. Do not use processed creamers, stick with milk or fresh creamer. Do not use sugar or sugar substitutes, these are bad for the body. Without sugar it can taste pretty bad, once you get use to it I find it does not taste that bad. You can try adding cinnamon or cocoa to it to improve the taste. Cocoa is also high in antioxidants along with caffeine so they are both good for the body. If you make it right, it can be healthy. So Remember you have many coffee choices and the most expensive coffee is not always the best, find the top 5 coffee brands you like and stick with them. Pick out your favorite and buy it in larger containers to save money. Coffee can be healthy if consumed in moderation and with the proper ingredients, stay away from sugars and substitutes. Flavor creamers can be processed, try to find one that is healthy because it helps the coffee taste better without sugar. Enjoy your coffee and use it to improve your health. Either I drink it or I will not, that puts it into a good or bad situation. I regularly have a morning cup and occasionally a second. I'm a fan of coffee, Oh those on your top five I like and drink Folgers other than that I agree with your thoughts and taste on coffee, "as long as it is not awful" It does seem there are two types of coffee, good and nasty. I don't drink coffee in excess however I drink the healthful amount. I am more of a tea drinker BUT coffee is a staple in my diet, sometimes I just need that ZOLT! iggy, Thank you for the benefits and cautions regarding coffee-drinking. It's interesting that old films from the 1940s and 1950s show offices with water to drink and just about everything from the 1960s on shows coffee! Elephant coffee is a form of animal coffee. It owes aroma and taste to animal inputs. A sanctuary in northernmost Thailand produces the world’s Black Ivory elephant coffee.